What is the best car for uber drivers? Are you an uber driver looking for more adventure with your driving? Are you spending more on fuel then you would like to be? Uber are leading change in the car industry by utilising the latest technologies to help improve driving conditions for taxi drivers and the general public. Electric vehicles are now at the forefront of their plans to save fuel costs and reduce pollution in big cities. So what is the best car for uber drivers? The Nissan Leaf is the World’s best selling electric vehicle with more than 230,000 on the road globally. The 30kWh battery model delivers 26 more range versus the previous generation model, and up to 155 miles of driving range on a single charge. Prices range from £21,000 – 28,000 depending on model. There are 400,000 Toyota Prius’ on the road, representing 40% of Uber’s total drivers. The Prius is efficient and environmentally friendly, like the other electric cars we’ve mentioned above, adopting the latest hybrid technology in there cars to cut down on gas prices. An automatic car with a Satnav system, also makes the Prius both a comfortable and sensible choice for a taxi vehicle. Prices for Hybrid range from £24,000. The Honda Civic is often put in a similar category to the Toyota Prius as an efficient and reliable car. Where the Civic differentiates itself is in its mid-size family build. The Civic is an inexpensive, fuel sipping car with sharper steering and solid brakes. Similar in some ways to the Prius, but overall you get more of a compact sporty feeling when driving. The Toyota Corolla is an affordable car with a track record of successful resale. An eco friendly car, the LE eco version is the most fuel efficient of the non hybrid versions with around 35mpg. The Hybrid version is rated an estimated 42mpg. 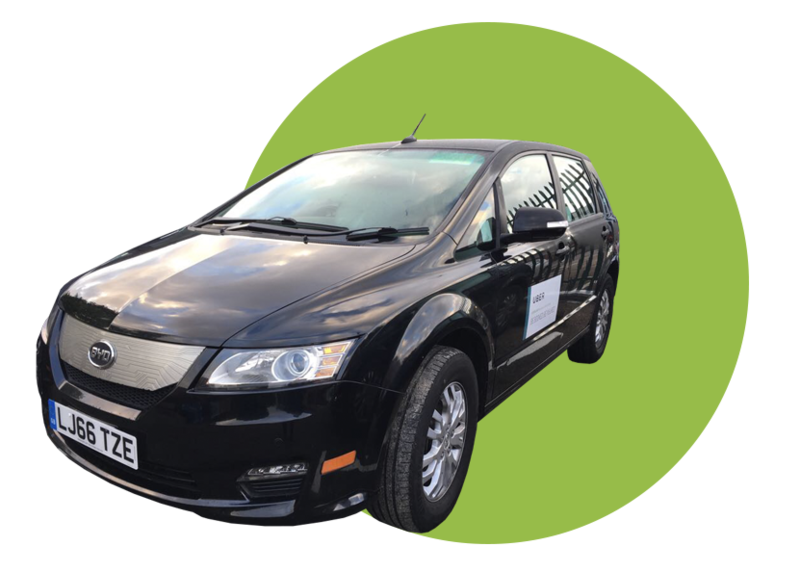 The Ford Fusion enters into our list as the first autonomous vehicle to be tested by Uber. Whereas these cars aren’t strictly being used at this time, there may be a time when autonomous vehicles are used more regularly by Uber drivers to facilitate. Trained engineers will sit in the driver’s seat in the case of an emergency.